A family run pub owned by the Kiernan Family. 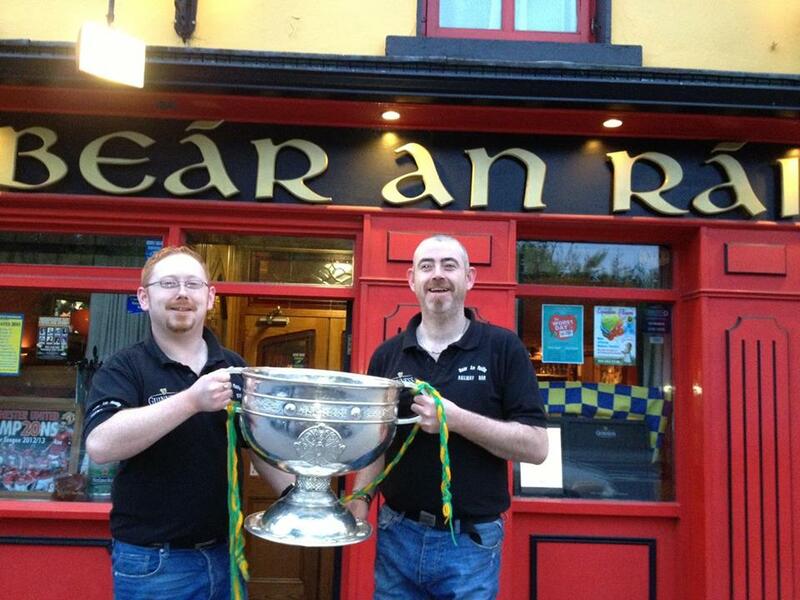 Currently at the helm are brothers Dermot & Dale who took over from their father Marty in the mid 00’s. We run a friendly, relaxed local bar that has a warm welcome for everyone from the local punter to the wide eyed tourist. We are just on the edge of town on the main Galway road and are round the corner from Roscommon Train Station and across the road from The Abbey Hotel. Free Charging – Gadgets need juice and we have lots of plugs! phones/cameras/laptops we have most cables but not all of them so bring your just own to be sure. Free Tea & Coffee For Bikers – Dermot loves his motorbike so if you’re out for a ride, call in. We Also Sell Drink – Alcoholic, non-alcoholic, hot, cold whatever you like as long as it’s wet!